These photos were taken on a crisp Wednesday afternoon - after a busy and slightly overwhelming past two weeks (but exciting and very rewarding! ), I bundled up in my mint coat and took my little brother out to brunch. We visited a new (to us!) cafe nestled downtown and ended up sitting outside since inside was rather cramped - but just as we sat down, the sun burst through the grey clouds and shown down right on us! 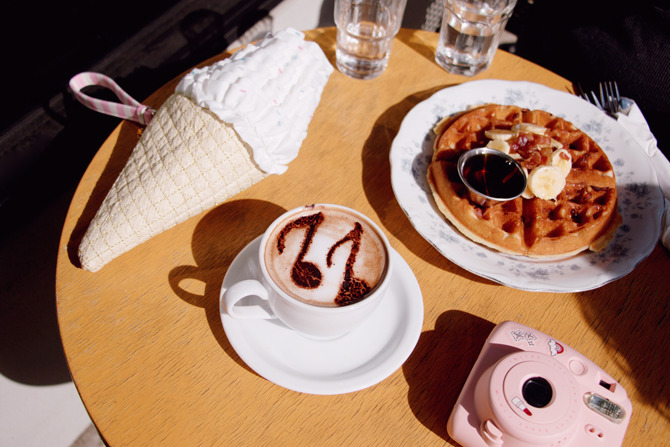 We had a very tranquil chat over a coffee (for me), hot chocolate (for him), lemon ice water, and an oversized waffle covered in banana, honey, and peanut butter we shared. It was such a nice change of pace and truly very relaxing - I'm definitely going to have to take him out on more adventures soon! You'e adorable!! 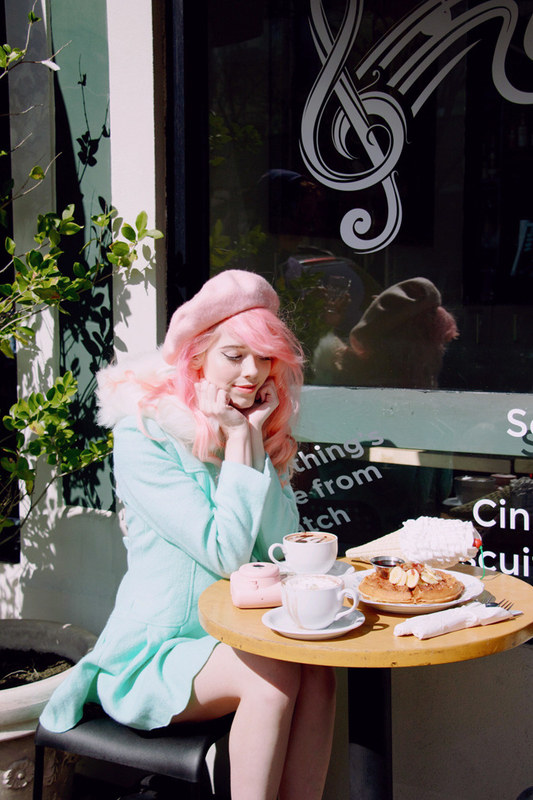 I love that coat so much...mint is one of my favorite colors. I'm going to check have to check out that boutique. And that waffle...I'm drooling over here!! Yum! 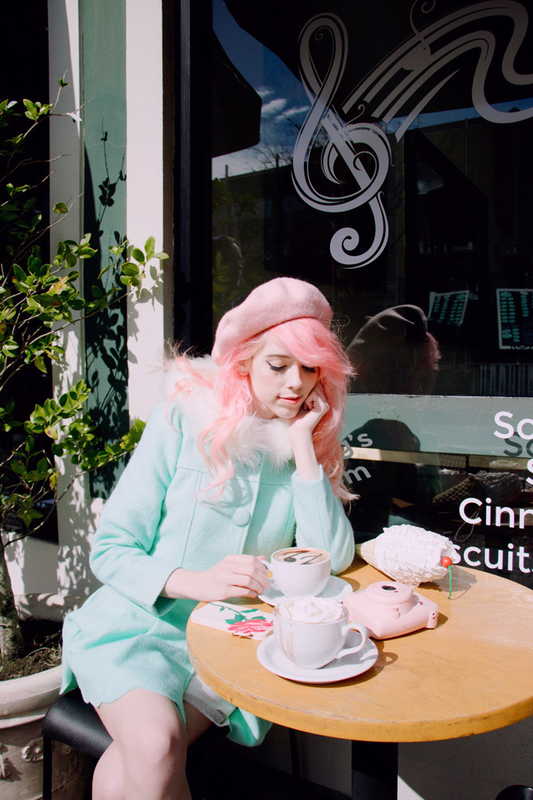 Such a cute coat, and I love the detail of the music notes in the coffee, randomly!